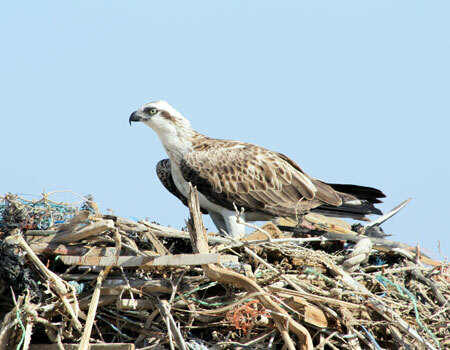 Bonn, 13 February 2015 – The Nature Conservation Sector (NCS) of the Egyptian Environmental Affairs Agency (EEAA) in close cooperation with Nature Conservation Egypt (NCE), recently completed a project aimed at boosting efforts towards waterbird conservation in the Red Sea coastal region in Egypt. This project was implemented from April 2011 to December 2014 and financed in the framework of the AEWA Small Grants Fund (SGF). 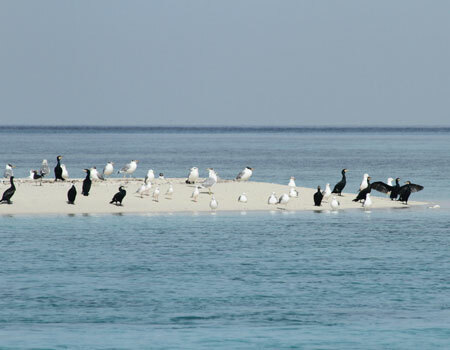 The project activities focused on ten islands in the Egyptian part of the Red Sea, which are among the country’s richest biodiversity habitats, and constitute important breeding, feeding and roosting sites for birds. 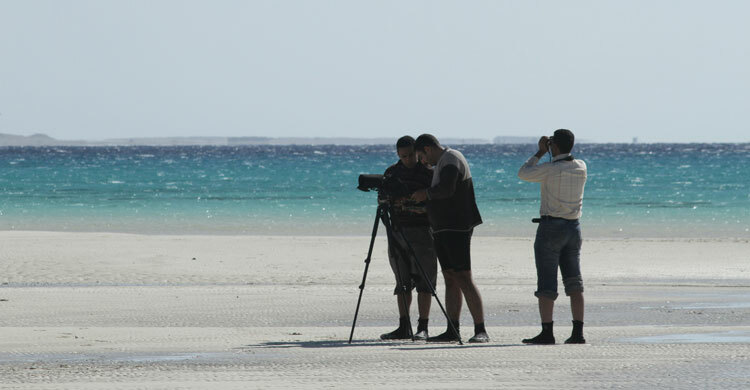 The project’s main aim was to improve the availability of data on breeding waterbird populations in the Red Sea islands, This was achieved by building national capacity for conducting systematic surveying and monitoring of waterbirds and their habitats, as well as contributing to the establishment of systematic waterbird counts during the project duration. Other objectives included increasing awareness on the importance of waterbird conservation. The organization of a five-day training workshop on monitoring breeding waterbirds in the Red Sea protected areas, which took place in Hurghada in June 2013. The main outcomes of the workshop are a harmonized field survey methodology for waterbird monitoring in the area, the establishment of a local waterbird monitoring team which is equipped with the necessary skills for waterbird identification and monitoring. Among the 16 workshop participants were researchers from Red Sea Protected Areas sector, representatives from other Protected Areas sectors within the NCS, as well as from Nature Conservation Egypt (NCE). Three field trips were conducted to ten of the 45 islands in the Egyptian Red Sea, with the aim of assessing their importance for breeding waterbirds and identifying significant breeding sites. These islands were surveyed in the months of January, June and August/ September, permitting data collection over three different seasons. 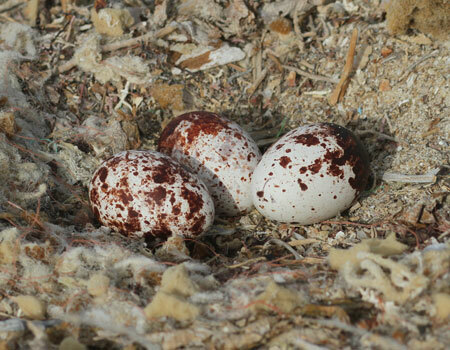 During the surveys, around 17,500 bird individuals and 65 different bird species were counted. Of these, a significant majority of 17,000 individuals, representing 43 out of the 65 species observed, were waterbirds. The largest number of adult birds was recorded in the summer period, during which most of the Gulls and Terns species are known to breed. The five most common species of breeding waterbirds recorded during these surveys included the Lesser Crested Tern (Sterna bengalensis), Caspian Tern (Sterna caspia) and Sooty Gull (Larus hemprichii) covered under AEWA and White-eyed Gull (Larus leucophthalmus) and Osprey (Pandion haliaetus). A waterbird database was established within the existing Nature Conservation Sector database. Historical data on waterbird counts was entered into this new database and data on Egyptian wetlands digitalized for future production of waterbird data and information maps. A standardized data sheet for the International Waterbird Census was endorsed by the Red Sea Protected Areas Sector, thereby harmonizing future national data collection with international standards. A brochure and poster were developed and distributed in order to raise awareness of the key stakeholders on waterbirds breeding in the Red Sea islands. Optical equipment to support future monitoring and survey of waterbirds in the Egyptian Red Sea was purchased. The AEWA Secretariat would like to congratulate the Nature Conservation Sector of EEAA, Nature Conservation Egypt and their partners on the successful completion of the project and hopes that the important conservation activities initiated under this project will be sustained in the future. For more information on the project please contact Mr. Wed Abdel Latif Ibrahim, Technical Coordinator, at wed_abdou@yahoo.com and Dr. Sherif Baha El Din at sherif_baha@hotmail.com. The AEWA Small Grants Fund became operational in 2010 and has since benefitted 11 conservation projects from 11 African countries with funds exceeding EUR 200,000. The next call for proposals will be launched in 2015. The Egyptian Environmental Affairs Agency was officially launched in 1982. The Ministry of State for Environmental Affairs (MSEA) and the EEAA are the highest authorities in Egypt responsible for promoting and protecting the environment. The International Waterbird Census (IWC), coordinated by Wetlands International, is an international framework for the acquisition and management of waterbird data globally, using standardised methods. The data obtained from the IWC provides useful information for assessing and monitoring changes in the status and trends of waterbird populations and their sites both nationally and internationally. This valuable scheme for the management and conservation of waterbirds also contributes to the development of the reports on the conservation status for AEWA populations and their sites. Since 2011, the IWC was remodeled and now consists of four major regional schemes representing the major flyways of the world, one of which is the African-Eurasian Waterbird Census (AEWC). The AEWC, a merger of the former African Waterbird Census and regional IWC scheme for Europe, North Africa and West Asia, focuses on monitoring the numbers and distribution of waterbird populations along the African-Eurasian Flyway. By Melanie Jakuttek, Birgit Drerup and Evelyn Moloko.